This was the theme at the just-ended 10th annual Leadership Conference of the Central Africa Baptist College (CABC) in Kitwe, Zambia. 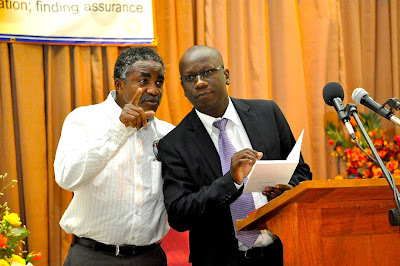 This conference took place from 2nd to 6th December 2013. (Pardon my late posting, I went from one conference to another!). In case you are wondering about CABC, I've written about it in another blog post (click here). 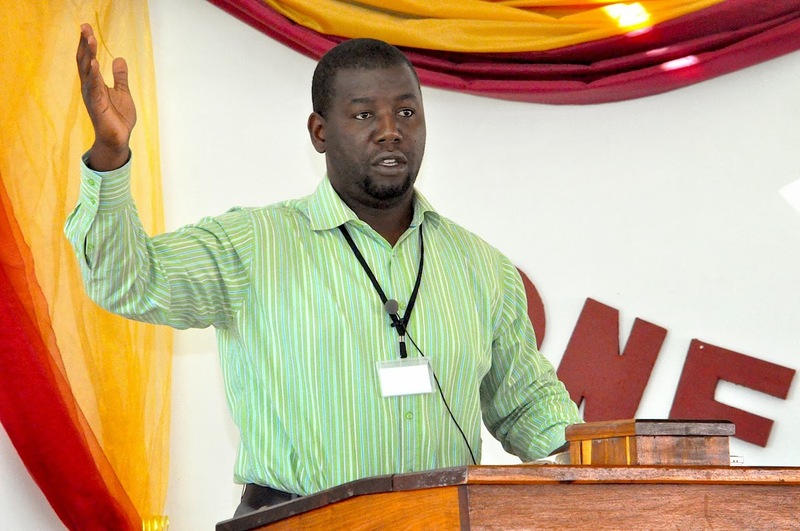 CABC offers courses in sign language, pastoral ministry, and chaplaincy. 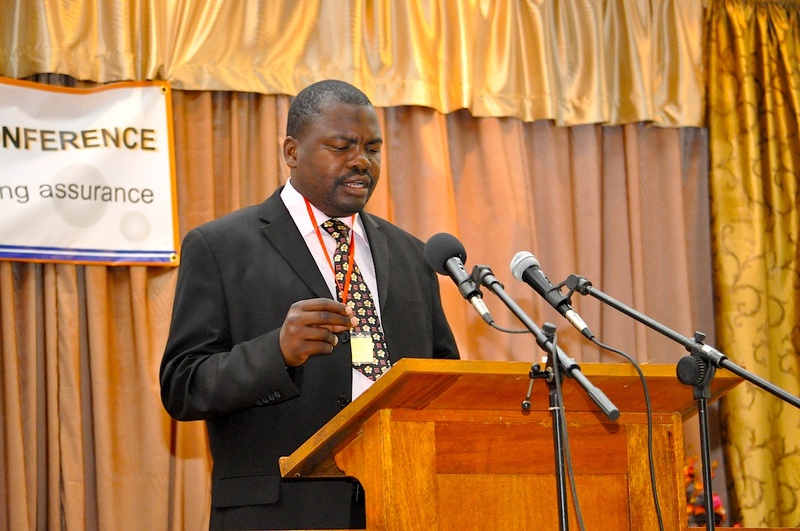 CABC also runs a radio station, which can be heard across the Copperbelt province. The man behind this vision is Dr Phil Hunt. 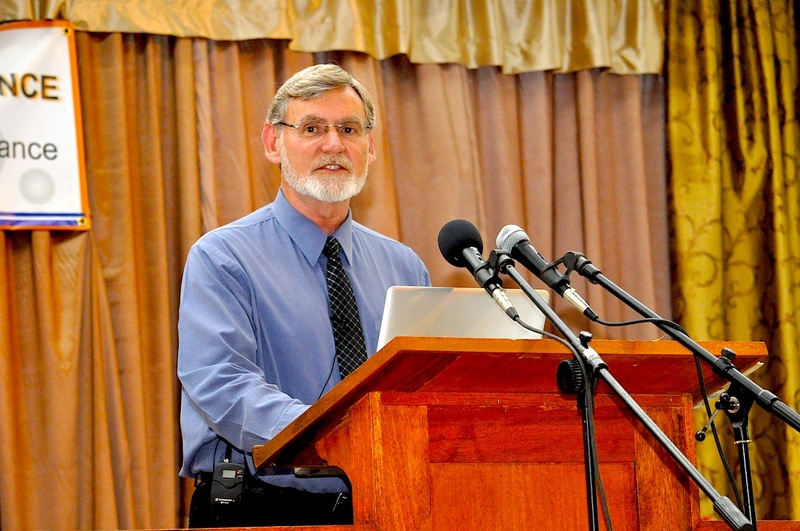 He was initially a missionary pastor involved in the planting of Faith Baptist Church in Riverside, Kitwe. As he was preparing to hand over this church to an indigenous pastor, Saidi Chishimba (see last photo below), he began to develop this college. Phil has endeared himself to many Zambians because of his love for the gospel and for the people of God. To put it simply, his passion for the gospel is contagious! It was good to be at this year's Leadership Conference and see the growing numbers. 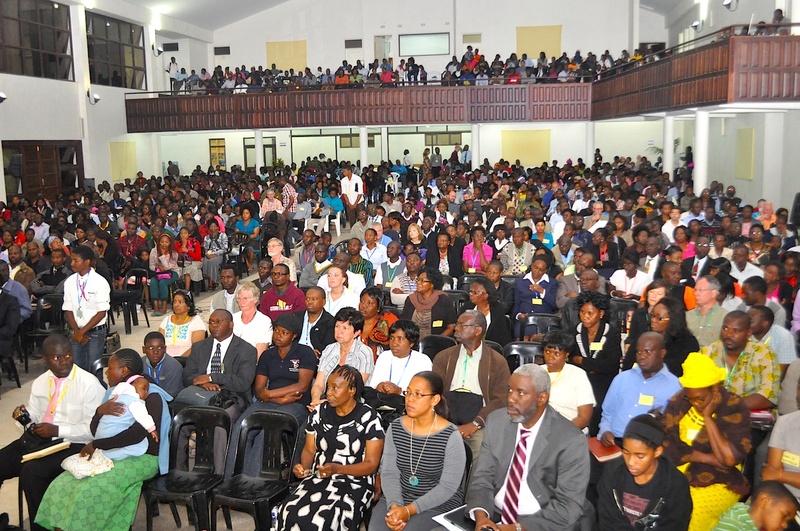 Although the conference began at Faith Baptist Church, it soon moved to the college's beautiful premises soon after the college buildings were opened. This year, to contain the growing numbers coming for the conference with every succeeding year, a huge shelter that can easily sit 400 people was put up and it was filled to capacity in plenary sessions. This conference is playing an important role in upholding conservative evangelicalism on the Copperbelt, in Zambia, and further afield. This year, I was asked to be one of the two main speakers together with Dr Sam Horn. 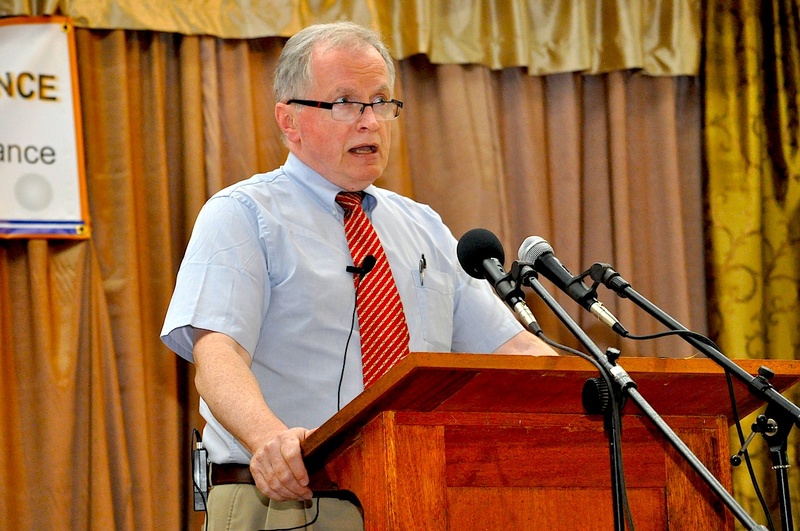 Sam is the president of the Central Baptist Theological Seminary in Minneapolis, USA. He took the pastors through 1 Corinthians. 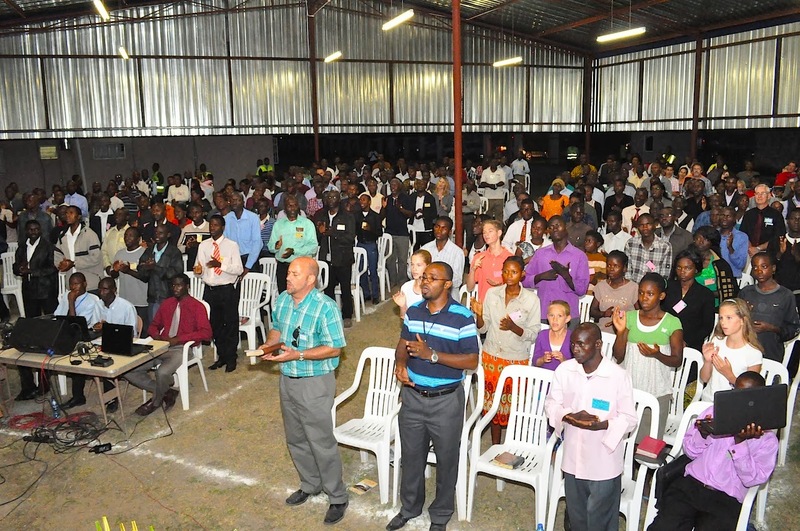 Other speakers included Pastors Grave Singogo, Kabwe Kabwe, Isaac Makashinyi, Ken Banda, Saidi Chishimba, Phil Hunt, and Ben Straub. 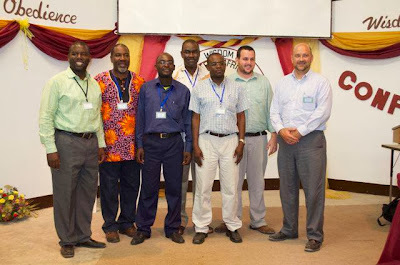 Except for Phil and Ben, all the others were well-known Zambian Baptist pastors. The conference has always been divided into two parallel streams. The pastors meet under one tent and all the others meet in another tent. This year, the latter met under the new shelter that I've already mentioned. 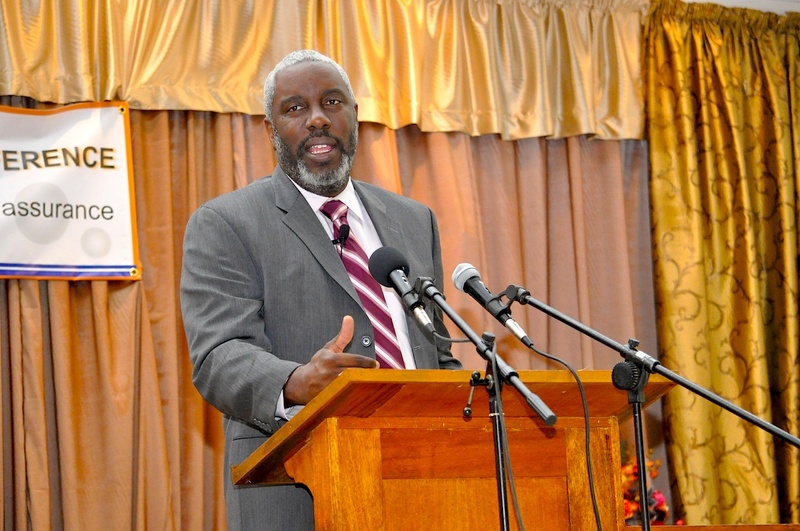 The theme of the conference was "A Call To Biblical Discernment." Some of the topics covered included how to understand discernment, the role of the Holy Spirit in biblical discernment, identifying false teachers, etc. 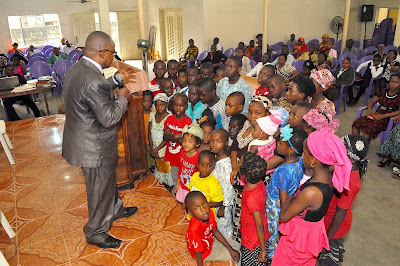 Issues of visions, dreams, prophecies, healings, etc., were also addressed. Of course, this was the best conference to also address aberrations of the faith, such as, "Touch not the Lord's anointed," "Name it and claim it," and "Sowing the seed." There were three bookshops spread out in the same room, selling books to those who attended the conference. Our own Evegreen Christian Bookstore was one of them. A few books were also given out to conference participants, one of them being Strange Fire the latest book by Dr John MacArthur Jr. Anyone living in Africa will know that the topics covered in this conference were pertinent topics today. Each of these messages was communicated to the deaf through a sign language interpreter by a brother who loves ministering to the deaf in this way. The messages were also given to all the conference participants in workbooks that they carried home for further revision. Most of these messages were also aired live on CAB Radio so that the number of people listening to the messages was immediately multiplied. Most of the sessions were led by former students. It was encouraging to see something of the fruit of the college. I have come to know and love these young men. Many of the men and women who were in attendance went back to church situations where "the good, the bad, and the ugly" live side by side. Pray for them! My trip to Nigeria was for the purpose of preaching at the Reformed Bible and Theological Conference hosted by the Reformed Tabernacle of Port Harcourt, a church pastored by Dr Aniekan Ekpo. Added to this event was the matriculation and convocation of students at their seminary and college. I then ministered on Sunday during their church service. 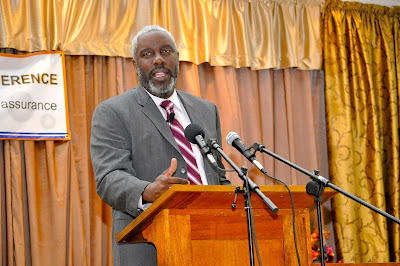 deliverance, pregnancy, financial breakthrough, etc. On the day the conference was starting Dr Ekpo and I went with two other speakers for a live radio broadcast on Radio Nigeria. This was meant to publicise the conference and make clear what the Reformed Baptists are all about in doctrine and practice. It was mainly in Pidgin English! The conference began on Wednesday 13th and ended on Friday 15th November. The attendance was slightly below one hundred at peak periods, including the speakers. 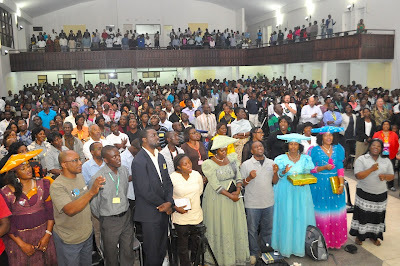 Dr Ekpo said that three hundred people registered. 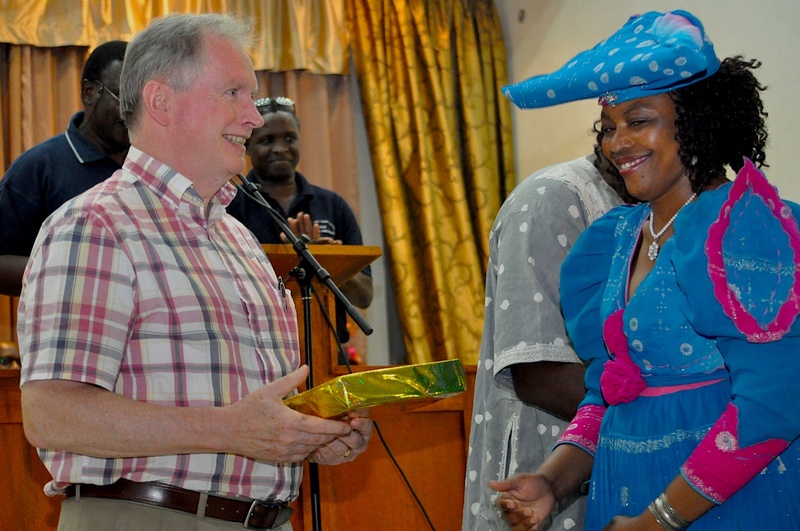 The theme of the conference was "The Covenant of Grace for eternal salvation." Apart from Dr Ekpo and myself, there were seven other speakers. My three messages were on the Covenant of Redemption. After my first message, I was told that a pastor stood up in anguish, audibly saying to himself many times over, "I've been feeding poison to God's people from my pulpit." I'm not sure what I said that would have resulted in this because all I did was to introduce the Covenant of Redemption from Titus 1:2. As I said earlier, Saturday was the day for the matriculation and convocation of students in the seminary and college. Three of us spoke at this event, which saw about 30 students either matriculate or graduate with a diploma or a bachelors' degree. It was a very colourful event, with all the students bringing their friends and relatives to witness the occasion. Many of the students are from extreme charismatic backgrounds as you would expect in Nigeria and have now seen the errors from which they have been saved. Dr Ekpo seeks to maintain the highest possible level of education in this institution. It is affiliated to the Metropolitan Tabernacle. In the light of the pervasive charismania in Nigeria, I found all this very refreshing. I ended each day with joy in my heart as I reflected on what I had been hearing from the various speakers each day. Since all the other speakers were from within Nigeria, it meant that the seed of the Reformed Faith was present in this country. What was now necessary was for more and more pulpits to perennially proclaim this message loud enough for the nation to hear. The mercy drops must become a flood and thus bring the true gospel to the lengths and breadths of the land. On Sunday, I preached and then spent more time with the congregation and the leaders, telling them about the progress of the Reformed movement at Kabwata Baptist Church in particular and in Zambia generally. This was meant to encourage them to press on against all odds. I emphasised the need to keep the Bible before everyone's eyes and to maintain unity as the movement grows. I still cannot believe what I saw as we drove from my hotel room to the meeting place each day. All that I have been warning about on this blog was more pervasive than I would have ever imagined. 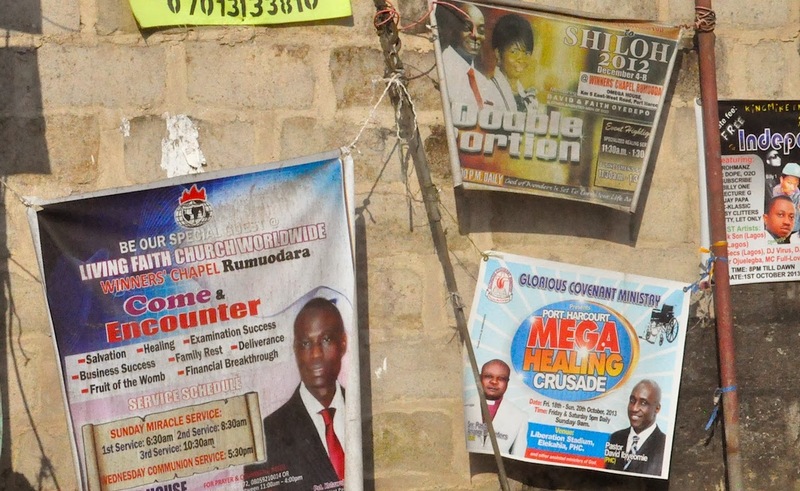 The “Nigerian religious junk” is bad enough outside Nigeria. We need to pray for these brethren who have to look at this spiritual garbage in their surroundings literally every day that God will help them to keep their heads and remain faithful to the true gospel of our Lord Jesus Christ. On this day you have obtained your PhD, a feat that makes me truly proud of you, I thought reminiscence of the magnificence of providence in our lives would be appropriate. Our journey through this life has not passed without providential fascination. I recall first meeting you at Ndola Primary School in the early 1970s. You struck me as a tall casual walking lad with a happy easy-going appearance. Being the talented sports boy I was, in a school that made much of sports, it did not require much for me to deduce from your frame that you were preordained to be on the losing side of whatever sports team you played for. On the friendship front, it is interesting that it was our older sisters, Chipo and Mwape, who become close friends before we could see the wisdom of forging ours. Perhaps it is because they journeyed on to the same secondary school, while we went in different directions. God knew better, for after our wilderness years of being Satan’s part-time sales agents in different spheres, he brought us together to be intimate God-loving saints. I vividly recall an occasion when I met you travelling by bus to the town we would both make our home that left a nagging impression on my mind. You were struggling to walk for the simple reason that the theological books you had just bought were in excess of the permitted weight for both body and bag. My heart reaction was: here is a serious Christian worth deepening a friendship with. Although I was an avid research reader, this time I was beholding a friend who was audacious to go for heavy-weight books. Until then, few if any of the friends I had were in this lonely league. I took note. Dear readers, my impressions of the man I had the privilege of living with, one who would be my confidant, wedding bestman (after being his) and my twin brother in many respects, linger with unwithering freshness. Let me walk you through some. Although I noted that Conrad had a physically demanding job as a mining engineer, I thought he had unacceptable paediatric sleeping patterns. He slept too early for an adult. With no small embarrassment, I often found myself talking to myself, thinking he was awake with me. To his credit, however, he rose while I still shamefully gazed into my eyelids, trailing all sorts of dreams – the good, the bad and the ugly! For the first time I had a friend to whom theological reflection and debate along with Christian service were life and death issues. This is a man whose conversations are sweetly heavenly, always edifying. To describe him as a man with a Christocentric heart is by no means an overstatement. Witty humour laces his speech, the kind that reminds one of Spurgeon. Around Conrad, the sun sets very very late. He always sees and helps you see the bright side of life. Occasional refined naughtiness makes him great company. To my beloved friend, sincerity is like a necklace from his sweetheart that he cherishes dearly. He is all-round dependable, a man of inflexible faithfulness. He is a man of his word. In the years we spent together I noted that Conrad spent money in the most frugal and responsible manner. His budget leaned quite handsomely towards his personal spiritual development. He paid meagre attention to the frivolity of stocking his clothing cabinet. His brown safari suit was more than enough for elegant occasions. Still, he was always tidy and clean. Generosity oozed out of him with ease. 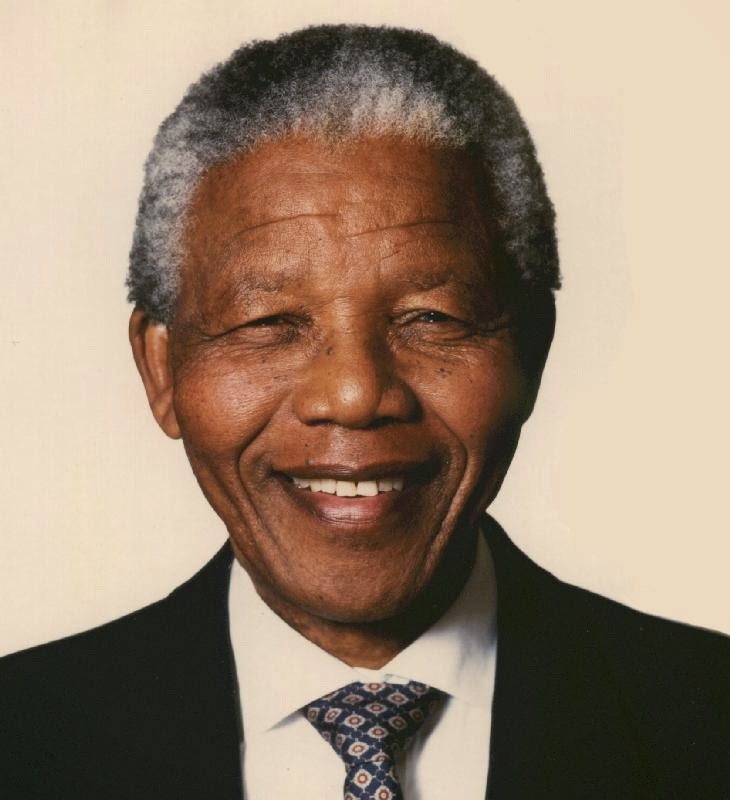 A more selfless man you will be hard-pressed to find. His struggles, doubts, fears, confusion and failings he readily brings up for discussion and counsel to close friends. He has a translucent skin, gladly placing his life on a public shelf. I came from another school of practice. In our little flat he openly wept occasionally, but not for reasons that ordinary people do. He wept when the outrage of sin in the church overpowered him. His emotions are well regulated and symmetrical. His mind rules, and rules admirably. His is a fertile well cultured mind, the product of meticulous organisation, disciplined study, profound reflection and ardent prayer. Clear thinking and broad perspective are his hallmark. Add to this a concern for a practicality that seeks spiritual good in all dialogue. This is one friend who has little patience for fantastic sounding theological irrelevancies. In the occasions I have differed with him, he has kept an eye on both principle and friendship, while mine have often roved around principle to a fault. My memory keeps no record of him resorting to anger outbursts when rattled or irritated. At worst he falls back on intellectually disarming and occasionally unsettling sarcasm. In our endless theological discourses he has spoken with candour and grace. Without doubt he is a friend par excellence. While Conrad’s professors at Pretoria University have today conferred him with a PhD, his friends in essence did this when he entered ministry, in recognition of his years of sound living and resounding Christian service. More on his public life some other day. 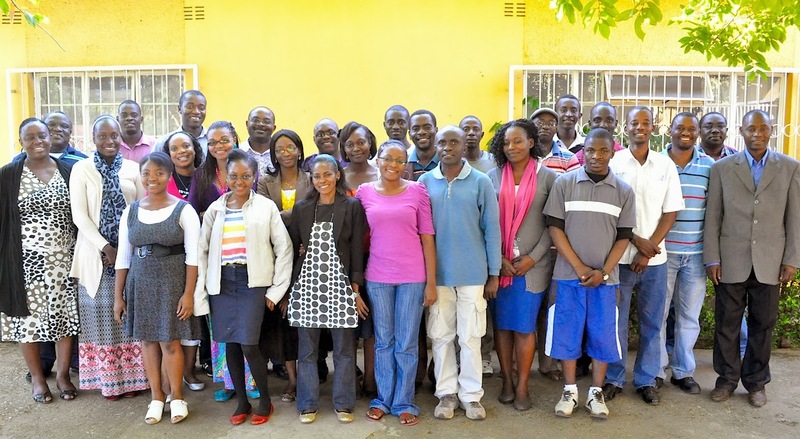 For years now, Kabwata Baptist Church has been reaching out evangelistically to students on the various college and university campuses of Lusaka through its senior youth ministry. However, we have always felt that this was insufficient for three reasons. 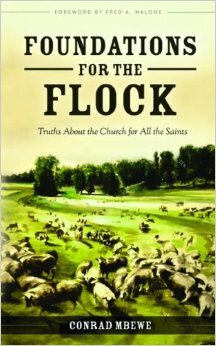 (1) The energies within the church have been bursting at the seams. The engine has been raving in overdrive. There has been need to increase speed to avoid a sense of frustration in those who want to do more. (2) The students who come to KBC testify that there is much more we could do because the campuses are being overrun with liberalism and charismatic chaos. 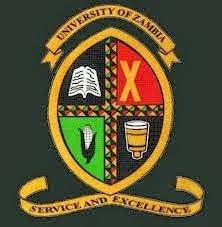 (3) With the liberalisation of education in Zambia, many more private and public colleges and universities are being opened in Lusaka, and so there is need to increase our capacity to catch the wind in our sails. 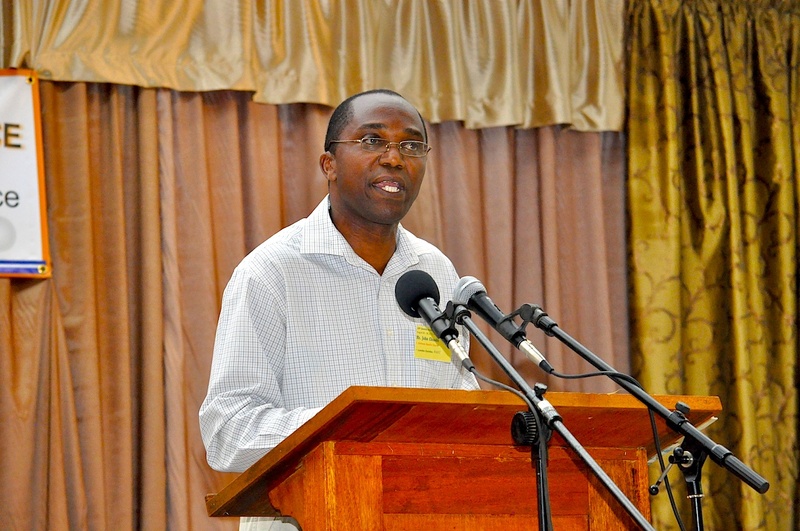 Hence, finally, at the beginning of this year, the eldership asked one brother at KBC, Macarthur Mudenda, to lead a ministry to reach the campuses of Lusaka. With that done, the KBC Campus Outreach Ministry was launched on Saturday, 25 May 2013. About thirty members attended! Macarthur explained the vital place of a campus outreach ministry for such a time as this so that the “dream team” could see why they had been assembled. 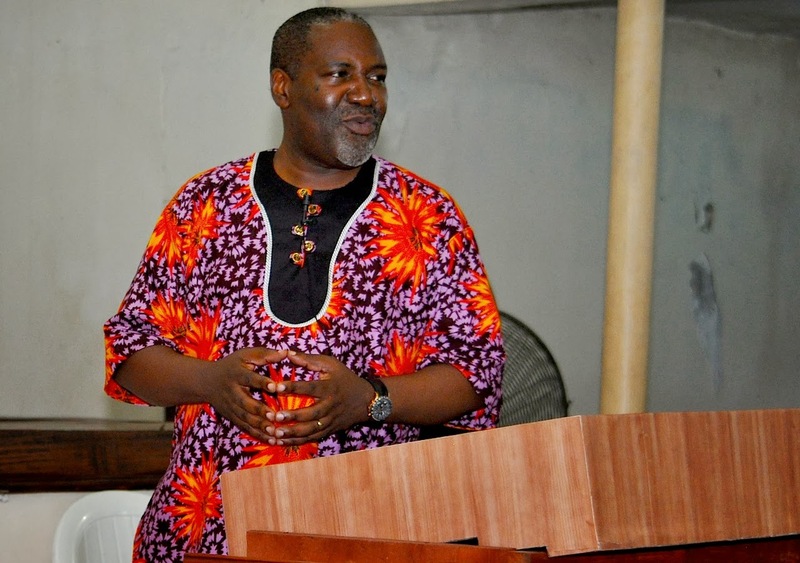 He made it clear that it was not the intention of KBC to start another student group on the campuses, but rather to work with groups like the Zambia Fellowship of Evangelical Students (ZAFES) to reach out to students. The purpose of the KBC campus outreach ministry is the salvation and sanctification of individuals who are on the college and university campuses of Lusaka. This involves ensuring that the students are exposed to and challenged with the gospel, discipled in the truth on an individual basis according to their stage of spiritual growth, and groomed to take their place in professional life upon graduation. This begins with welcoming the first years. Most of them are new in town and therefore very insecure and vulnerable. We want to be a part of their settling down process on their new campuses, especially during the “orientation week”. Our campus outreach ministry will involve a lot of campus visits, especially towards the beginning of their terms and semesters. Towards the end they want to be left alone with their books, and so it is important to be sensitive to this. Part of these campus visits also include attending and ministering to the ZAFES groups, as we have opportunity. The campus outreach "dream team"
Students are individuals with very personal needs, which they are only willing to share with those who have shown love and interest in them. They are in that stage of life when they are discovering themselves spiritually and morally. They are very vulnerable, especially that most of them are far away from home. Thus there is a great need for personalised interest in them by members of KBC. Sunday is special to the students we reach out to. The great challenge is to provide them with transport to church. Thus we need to have buses and cars dedicated to picking up students for church. We also want to minister in such a way that students will feel as if we are scratching where it is itching. College and university students are the intellectual cream of any society. Thus it is important to think about their individual development through deliberate mentoring, so that they are prepared to become tomorrow’s leaders. College and university students are at that stage in life when they have a lot of energy. Thus it is important to get them involved in strategic activities that utilise that energy, especially when they are on holiday. Short-term missions trips, handling children’s vacation Bible schools, etc., are very good examples that we are currently exploring. So, we are setting our sails to the wind. As Lusaka brings in college and university students from right across the whole country, like Pentecost in Bible times, we want to be ready to minister to these young lives. We want to be relevant to what God is doing in his providence in this country. We know that if we reach this generation of students, we will be reaching the decision-makers of tomorrow. Our prayer is that God may use our efforts to bring about a revival of true religion through the young lives that we will impact in this way. We are mindful that we cannot do this alone. We will need partnerships. We will need your prayer and financial support. We know that it is often on college and university campuses that Satan destroys many young lives. He will not easily let go of his prey. But with Lord Almighty on our side, he will be vanquished. Those of you who are able to help in kind, please feel free to get in touch via my email address. Thank you! It is that time of the year again when our Evergreen Christian Bookstore hosts a Christian Business Seminar to inspire young Christian entrepreneurs to go about their work in a biblical and God-glorifying way. This year it will be held on Saturday 5th October right here in Lusaka. Being mindful of the fact that many of our members are first generation Christians, this is a very important part of our work of discipleship. It is very easy for young businessmen and women to go about their careers the way in which the world does. We trust that these seminars will help to inoculate them and inspire them along a more biblical and God-glorifying path. The theme this year is “Missions and Business: Can The Two Go Together?” We will be exploring how you can use your business to support the work of church-planting missions. 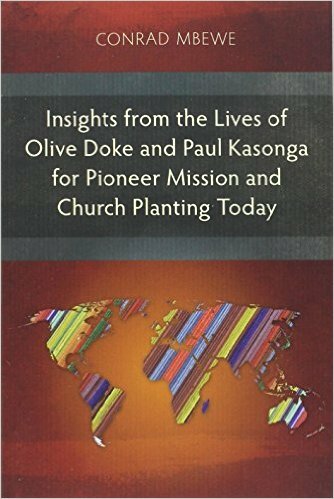 The current challenge of missions will be surveyed, together with a biblical and historical survey of how individuals used their businesses to support the work of missions. Some models will be analysed to help us see how this can be done and then we will look at what business opportunities are knocking on our doors from the small towns and rural areas of Zambia. Times for discussions and questions have been worked into the programme to ensure maximum benefit to those who will attend this seminar. 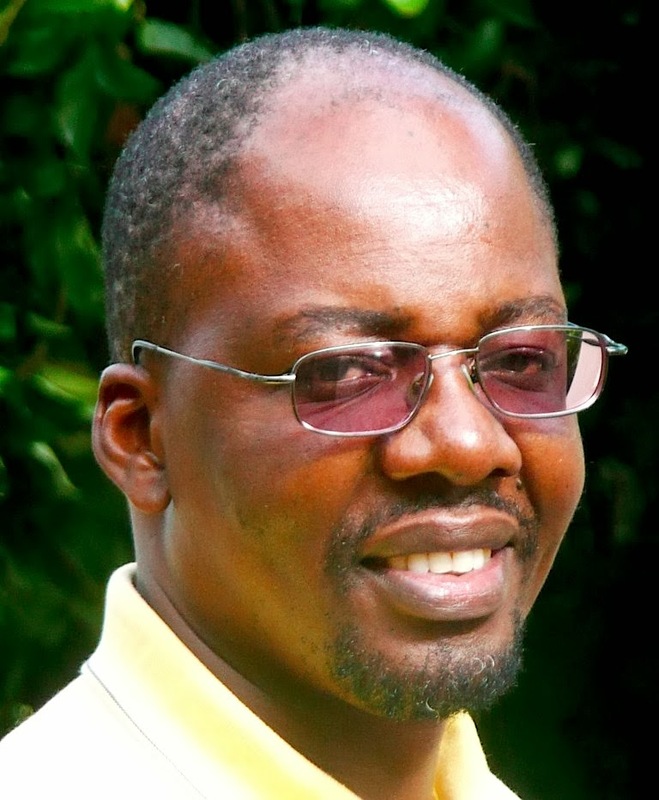 This year our speaker is Dr Dennis Chiwele. 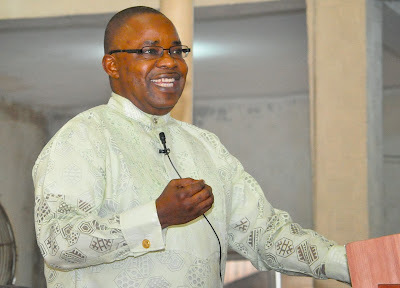 He became a Christian in 1979 after completing secondary school education and joined Lusaka Baptist Church, where he has gone up through the ranks and served both as deacon (1994 to 2002) and as elder (2002 to date). 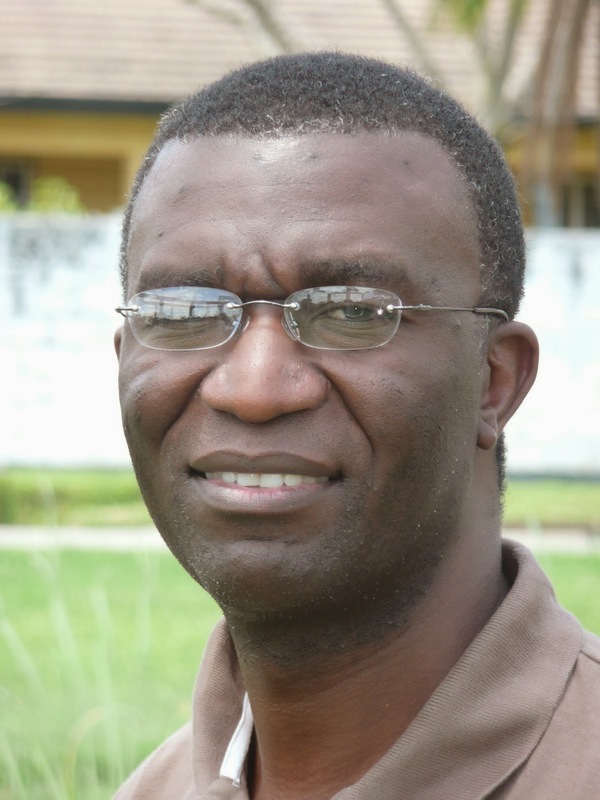 He is now a development economist and has served as a development advisor to various governments, multilateral and bilateral development organisations on the continent of Africa. 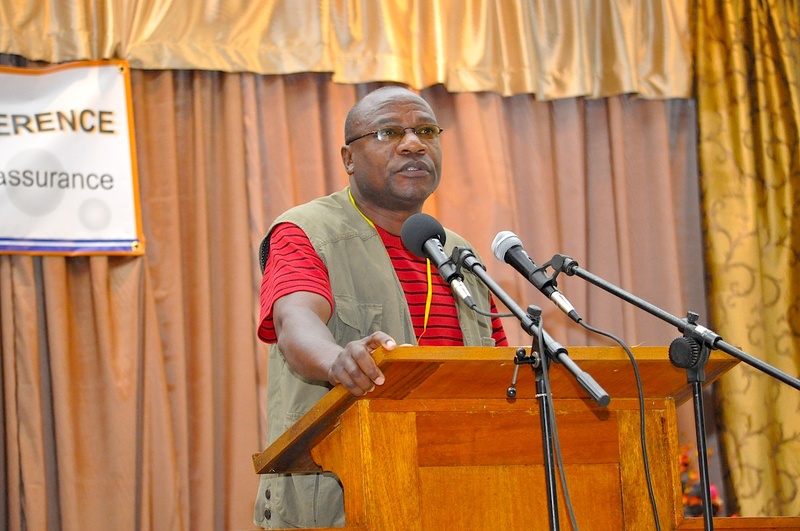 Dr Chiwele served in the civil service (up to 1992), and as a member of the advisory board of the Bank of Zambia (up to 2011). 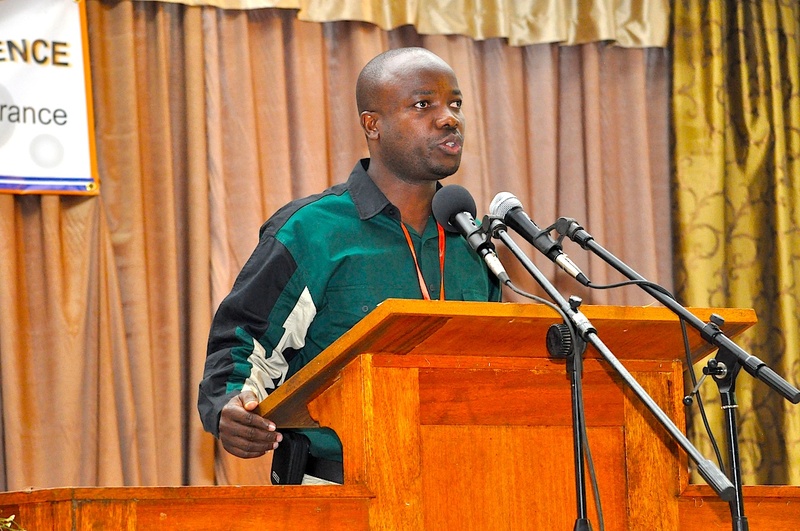 He also serves as a researcher and lecturer at the University of Zambia (on-going), and as a development consultant (on-going). He co-founded RuralNet Associates Limited in 1989, a development consultancy firm with special focus on rural development. One can immediately see that we have the right man to lead us in our study. Evergreen Christian Bookstore will be at hand with Bibles and books at special discount prices. 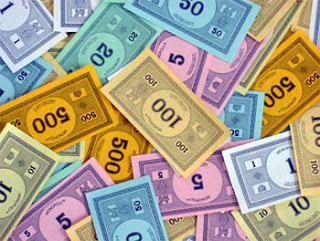 So, if you will be in attendance, make sure you carry some extra cash on you. 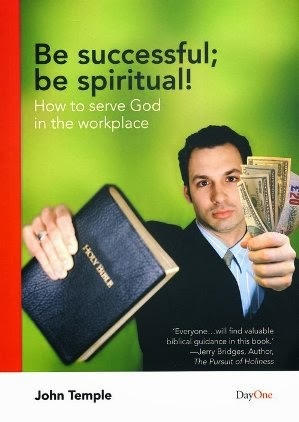 One book on sale will be Dr John Temple’s Be Successful, Be Spiritual. If you do not yet have a copy of this book, this will be the time to get yourself one. Thanks to the proprietors of Dream Valley Lodge, who themselves are Christian entrepreneurs who are seeking to live out what is being taught in these seminars, we will be holding the seminar at their magnificent lodge from 08.30 to 17.30 hours. The fee for attending the seminar is only K170 per person and may be paid upon arrival. If you are coming from outside town, I would recommend that you book yourself in for Friday and Saturday nights. It will result in a most relaxed, educative, and memorable weekend! ACU: So, Conrad, where on earth did you first get the idea that you should be part of the founding of a distinctly Christian university in Zambia? Conrad: When John Chundu (the chairman of our deacons) walked into my living room and shared with me his burning desire to start a Christian university, I did not have the foggiest idea what the Lord was about to do. All I knew was that I needed to pray with John about this so that the will of the Lord might come to fruition. And it did. A few weeks later, I got an email from Ken Turnbull (the ACU’s first appointed Vice Chancellor)—who at that time I did not even know existed on the planet—asking if we could talk about starting a Christian university here in Zambia. I quickly told John the Lord had answered our prayers. One thing led to another so quickly that before I could count up to ten (or so it felt) the African Christian University was born on Zambian soil. What a joy it has been to see the team that God has put together in Zambia and elsewhere to get this mammoth project off the ground! ACU: Was this something you ever thought you would do in some long-distance future? Conrad: For me, the ACU is a dream come true. I always wanted Kabwata Baptist Church to use the channel of education as a means to have a captive audience to saturate with gospel truths. By this I mean, to have them impacted with the whole of special revelation with Christ at its centre. So, when the opportunity came for us as a church to start a Christian primary school, we went for it. We were battling with how to proceed to develop a Christian secondary school when ACU came knocking on the door. The Lord had been preparing us for this project long ago. 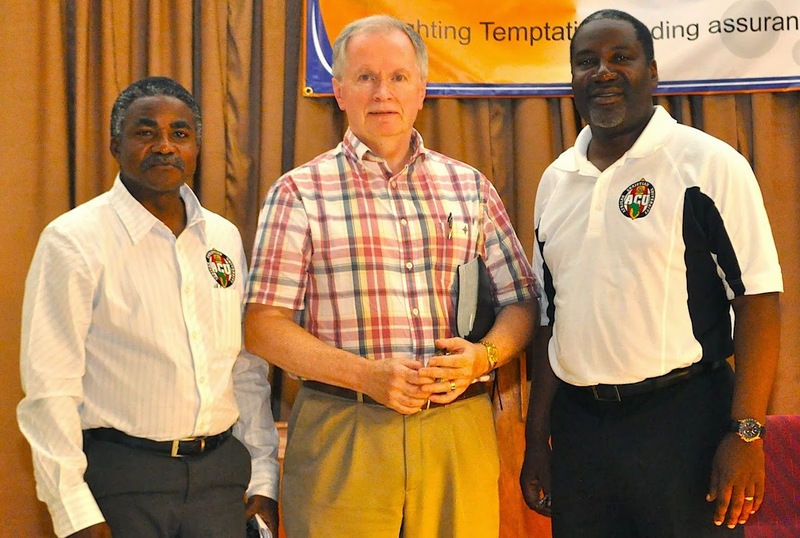 It has been great to see the Reformed Baptist churches in Lusaka, and indeed across the country, galvanising around this initiative so that it has truly become an inter-church project. Our team currently labouring to realise this dream is drawn from a cross-section of our churches. 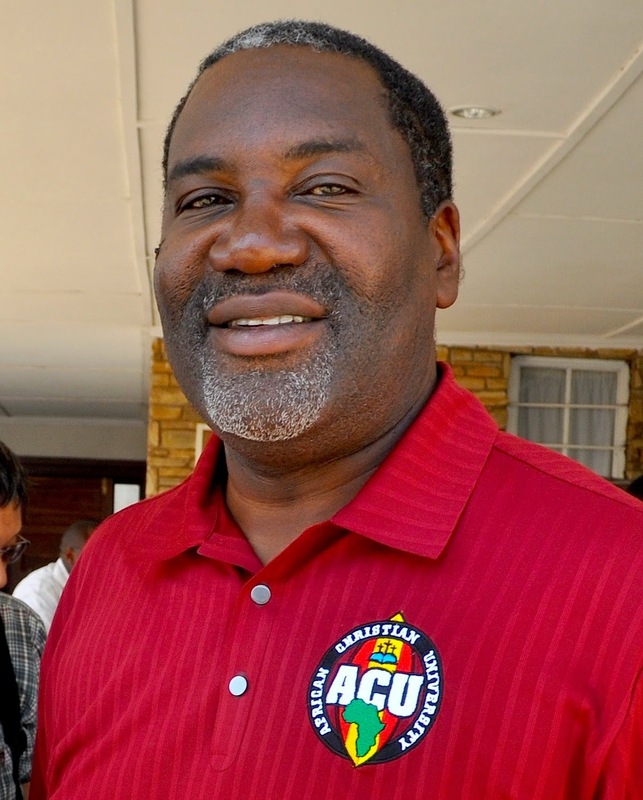 ACU: You are the newly appointed first chancellor of the African Christian University. Is this something you expected to happen? Conrad: No. Perhaps the biggest surprise the Lord has given me since John walked into my living room has been the call for me to serve as the first chancellor of the university. I know the Lord is full of surprises, and I expect them any time, but this one was never on the radar. I have always been content to be a catalyst. I love to precipitate events without appearing prominently on the front cover. It fills me with joy to inspire others to do what I think God wants them to do in the extension of his kingdom while I remain cheering in the crowd. So, when the idea was first presented to me to serve as Chancellor of the ACU, like Jonah, I straightaway took off for Tarshish. Thankfully, in my case, the Lord did not need to use a big fish to teach me a lesson. His servants simply made me come to terms with what God was saying. ACU: Now that you have gotten over the first shock, how do you see yourself functioning in this new role as Chancellor of the ACU? Conrad: As I look at fulfilling my new role as head of the university, I see myself first and foremost as playing a pastoral role. I seek to ensure that the whole ACU project is bathed in the prayers of God’s people from right across the globe. We will need God’s help in this mammoth project. 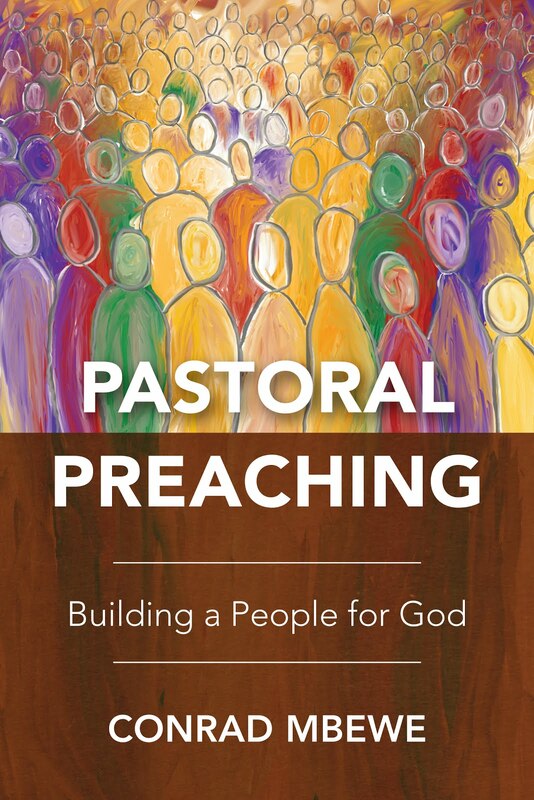 This pastoral role will also involve listening to the challenges being faced by management, faculty and students, and seeking to encourage them to remain true to God in the midst of those challenges. I look to God to fill my heart with love for those who will be part of the ACU family. Then, I also see myself as playing the role of “ambassador-at-large” for the ACU. I will do my best to carry the banner of the ACU wherever I go. This will not be easy because my default mode is that of pastor of Kabwata Baptist Church. Yet now I must always wear two hats. ACU: Finally, Conrad, as you look into the future, what are your aspirations for the ACU? 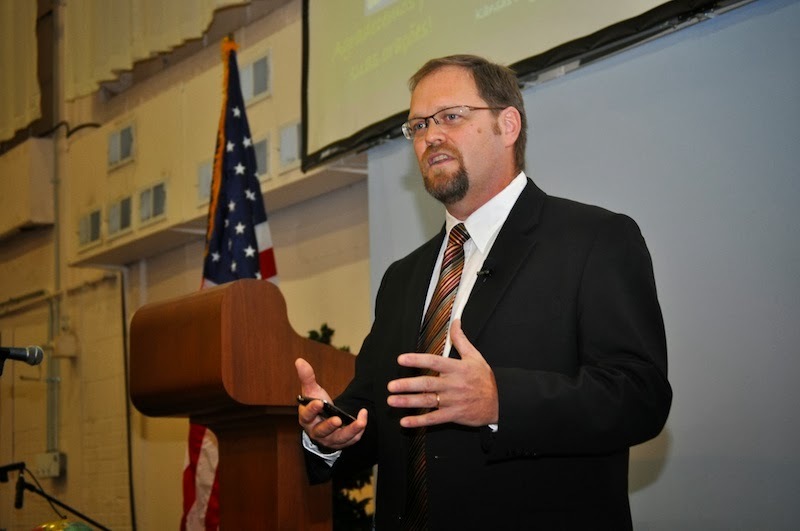 Conrad: I want to see the ACU grow into the best university on the continent—to the glory of God. I want to see the ACU disciple young minds, hearts, and hands to fulfil the cultural mandate in a way that no other university in Africa has done. I want to see this happen. This will demand that we ensure the highest possible levels of scholarship and discipleship. With a Christ-centred view of all the academic disciplines, those who are Christians and are moulded by our faculty should go out there and change the way things are done in Africa. Finally, I look forward to playing my first public role of conferring degrees on our first graduates. I trust they will be individuals who have Christ in their hearts by his Spirit and whose engines are raving to fulfil their God-given calling in life. What a joy that will be! May that day come soon. Amen! Yesterday was the final day of the conferences. I missed the morning sessions. In the afternoon, there was a question and answer session. 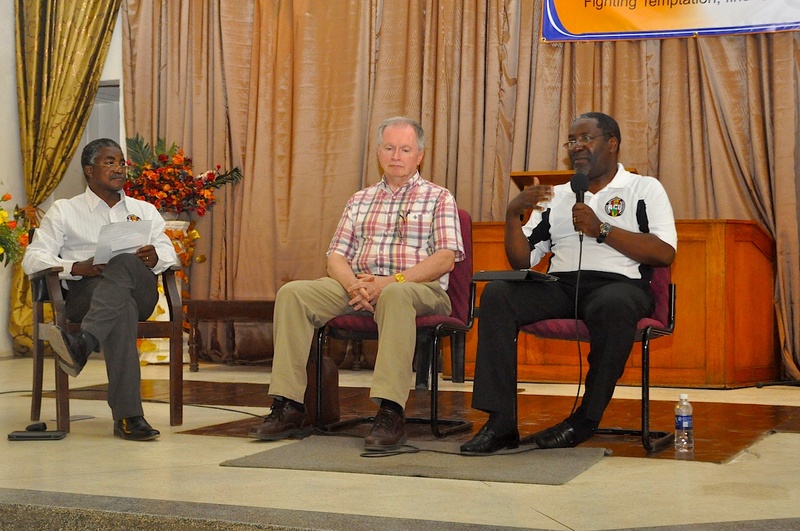 Ronald Kalifungwa moderated, while Don Carson and “yours truly” answered the questions. Some of the questions were about cremation, being baptised for the dead, generational curses, spiritual warfare, postmodernism, how an impeccable Christ could be tempted, etc. It was good to have Don present to answer the more difficult ones! Q&A session in the afternoon: Ronald, Don, and "yours truly"
The evening session was the final plenary session of the conferences and it was led by Lukonde Makupe. 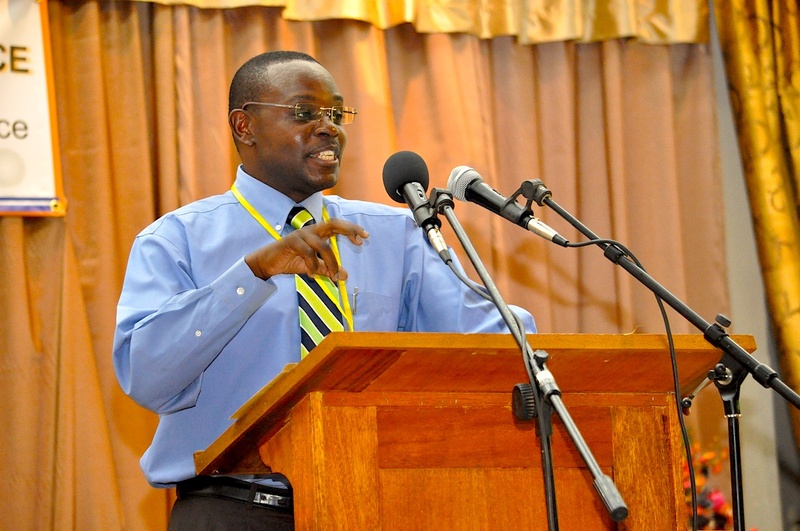 Isaac Makashinyi spoke about the Lusaka Ministerial College (LMC). 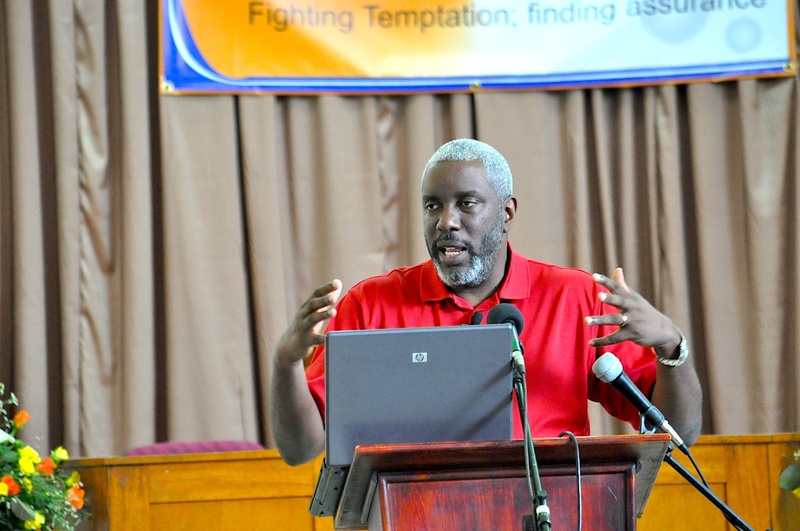 He gave a brief historical account of the college and went on to talk about its latest excursion into the Western Province with the new Liseli Pastors Training College (LPTC). 1. John’s purpose in writing (v.13). 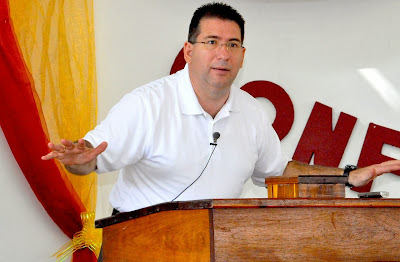 John was addressing believers. He wanted them to know that their belief was not in vain. He wanted them to be confident of this. God wants every believer to have this assurance. It is very easy for “eternal life” to lose its lustre because of over-use. Eternal life is eternal and thus cannot be lost. It comes from Jesus and is tied in with him. 2. The five blessings that flow out of a life of assurance. (a) We have confidence in prayer (v.14-15). God hears us and we have what we ask for. The Creator and Governor of the universe is not at all too busy to hear us and answer our requests. (b) We can offer saving prayers (v.16-17). We ought to have a brotherly concern for those brothers who are taken in sin and this concern should express itself through prayer. Although some see this as spiritual death, it must be referring to physical death. God cares more about the quality of our lives than about the length of our lives. (c) We have blessed assurance of deliverance from sin and the devil (v.18). The habit of such a person is not in sin. We are also kept safe from the father of sin. “Deliver us from the evil one” has been answered through Christ. 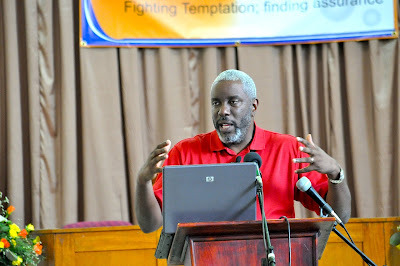 Thabiti Anyabwile giving the closing address on "Finding Assurance"
(d) We are under the Lord’s control and not the devil’s control (v.19). Listening to the news gives the impression that the world has spun out of control. Yet we know that God is still in control and we are under his spiritual protection. (e) We enjoy our union with Christ (v.20). Jesus gave us understanding, which results in our having knowledge of him, which results in us having all the blessings that are in Jesus. The Christian faith is to experience this rich fellowship with Christ. 3. John’s final exaltation (v.21). This seems like a very abrupt ending. Let us keep ourselves from everything that takes our attention away from God in Christ Jesus. Let us keep growing in the knowledge of his Word. Amen! 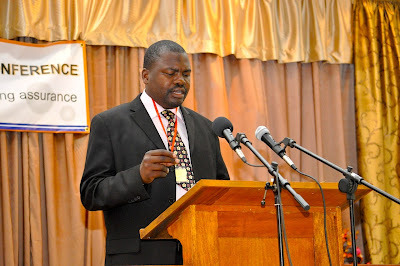 It was on this note that the 24th Zambian Reformed Conferences came to an end. It was a wonderful week of rich instruction in the Word, with about 1,400 brothers and sisters in attendance from across Zambia and other countries. We are already suffering from post-conference withdrawal symptoms. When is the next conference? The first question was, “Who do we love?” He identified the two possible objects of our love—God or the world, God or mammon (Matthew 6:24). He defined the word “world”, which is used in different ways in the Bible, as a system of thought that is at enmity with God. Creation in itself is good and must be enjoyed by us. However, when it takes the place of God it becomes a snare and a sin. 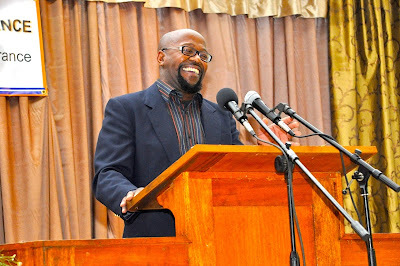 Thabiti Anyabwile teaching church leaders on "Finding Assurance"
The second question was, “How do we know if we love God or the world?” We know what we love when we check our motivations. We can be motivated by our love of the world. We can also be motivated by our love for God. When the latter is the case, we find assurance building up within us. The third question was, “Where is our love taking us?” This love that we have should be in God and must be an abiding love. A time is coming when we shall be in heaven and will love God with an everlasting love. Satan often discourages us when we discover that our love is not what it should be. We must not be discouraged because our love grows with time—until it is consummated in heaven. Don Carson teaching church leaders on "Fighting Temptation"
Don Carson handled the second session. He dealt with the temptation of Peter from Galatians 2. Peter was quite a mixture of belief and unbelief. He rebuked Jesus for saying he was going to die after saying, “You are the Christ, the son of the living God.” Peter assured Jesus that even if everyone denied him he would remain faithful but it was not long before he denied him. And now in Galatians 2 he was eating with Gentiles but now he stopped. So, how do we understand this? There were two circumcision groups: The unbelieving Jews, and the believing Jews who were conservative. It was possible that the team from James may have been the second group and had asked Peter to withdraw from Gentiles to reduce the rippling effect his eating with Gentiles was having in Jerusalem. The reason why Paul opposed him was because (1) it was going against the exclusive sufficiency of Jesus’ death on the cross, (2) it was splitting the church, (3) Peter was acting out of a false understanding of Scripture which would have led to wrong decisions. We are also in similar danger. Don ended by exhorting us to keep studying the Scriptures daily in order to avoid falling prey to such temptations. False theology has terrible consequences. In the afternoon, Thabiti Anyabwile took a plenary seminar on Islam. He first shared his testimony about how he got converted from Islam to Christianity. Then he gave a brief history of Islam. He began with the Prophet Muhammad and went up to the standardising of the Qur’an and the coming up with the “constitution” of Islam, i.e. the Sharia law. He went on to give some basics on Islam, which included the current statistics, the articles of Faith, and the five pillars of Islam. He spoke about Islam’s view of Christianity. Thabiti finally made some suggestions for gospel witness to Moslems. There were a lot of questions asked, which clearly showed that Islam was a matter of real concern to many. Collins Sakalunda led the evening plenary session. Ray Warwick spoke on the African Christian University (ACU). He gave the history of the university, the ethos of the university, the appointments of management and staff, and the progress that had been made thus far in the establishment of the university. 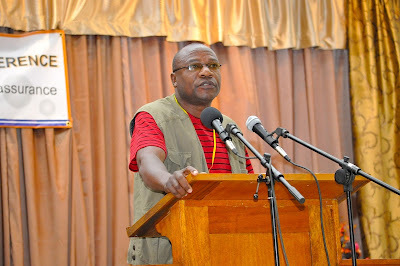 John Chundu, the board chairman of the ACU, also came on to emphasise the fact that the ACU is a Zambian initiative. So, he challenged those present to begin thinking about supporting the ACU in prayer, finances, etc. 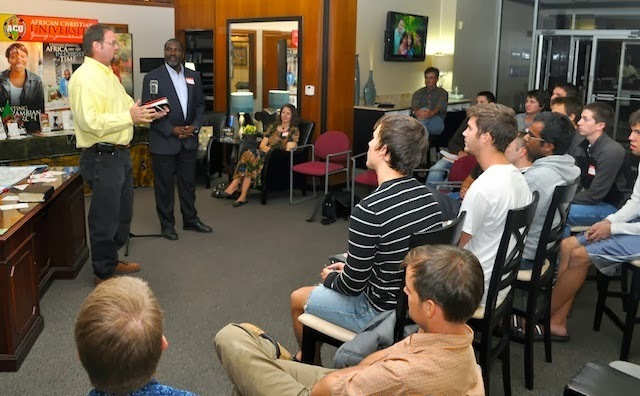 Bill Issa shared about the work that he is doing in Uganda. He talked about his conversion and his “journey in grace”. 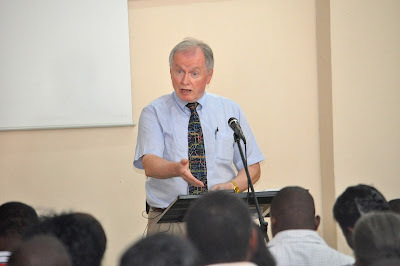 His excitement could not be missed as he talked about coming from Islam into charismatic chaos, and later finding not only the Reformed Faith but also a Reformed family here in Zambia. After an uneasy silence, he proceeded to state that in order to be helped to come out graceful and not bitter after temptation and trial, it was important to learn three lessons from this passage. 1. When you are struggling under trial remember the Christian's goals (v.12). Trials produce perseverance and perseverance produces character. It is under trial that we toughen up (v.2-4). Then there is the eternal reward that is called "the crown of life". These are goals we should think about under trial. 2. When you confess God's sovereignty do not misunderstand God's motives (v.13). The word “trial” and the word “temptation” in the Greek here is the same word. It is the context that determines how to translate it. God tests us to prove our faith, to lower our pride, etc., but he never does so to induce us to sin. He is holy and he wants his people to be holy. Instead of blaming God, understand that it is our sinful nature that makes us to sin (v.14-15). Michael Hudson singing his signature song, "It is well with my soul"
3. When you feel abandoned and crushed do not forget God's goodness (v.16-18). God is good all the time. The greatest display of God's goodness is in our new birth (v.18). He saved us through the gospel by his own choice. 4. When you hear gospel instruction do not merely listen to it but live it out (v.19-21). The gospel in the Bible is the big category in which discipleship grows. The gospel motivates us to seek to be conformed to the image of Christ. We must, therefore, seek to obey its injunctions (v.22-25). 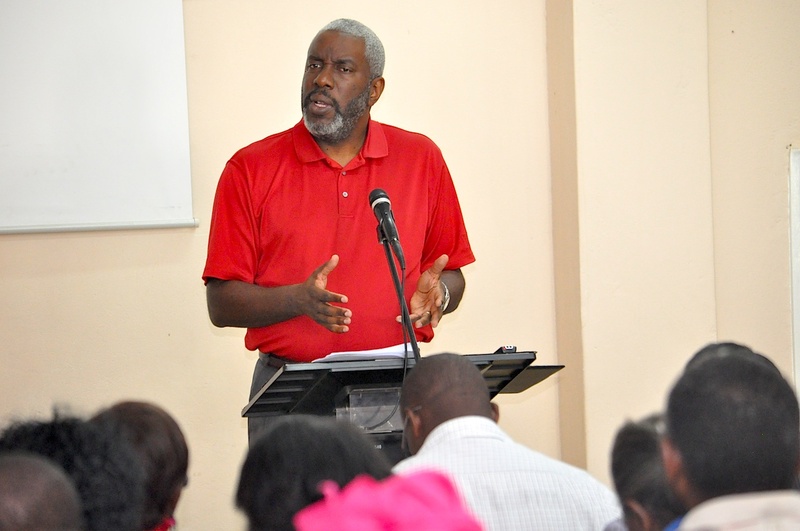 Having taught us these four lessons, Don asked the question again, “Do you want to be like man number one or man number two?” It was now easier to answer! Don Carson giving the evening address on "Fighting Temptation"
Yesterday, I missed the morning meetings again. So, I will limit myself to the combined afternoon and evening meetings. I trust those of you who would have loved to be with us will find the limited summaries helpful in catching up with what the Lord did among us yesterday. In the afternoon, we had an informal business meeting where we primarily considered the commencement of an annual national (and regional) missions conference. The discussions were handled in a way that enabled everyone to feel free to express themselves. In the end, the general feeling was that instead of increasing the number of conferences per year, we should maintain the current one annual feast (i.e. the Annual Family Conference and School of Theology). However, every alternate year we should have a theme related to missions. We also heard brief reports from about five Reformed Baptist churches that had commenced in the country since August last year. After this, we had a prayer meeting and dinner. Then we went into an evening meeting. 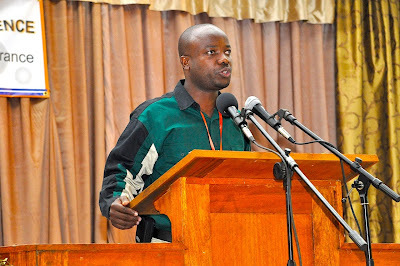 Misheck Daka shared about the Zambian Reformed Baptist Building Trust Fund, which was instituted in 1997 as a revolving loan facility to help Reformed Baptist churches in Zambia to put up church buildings. 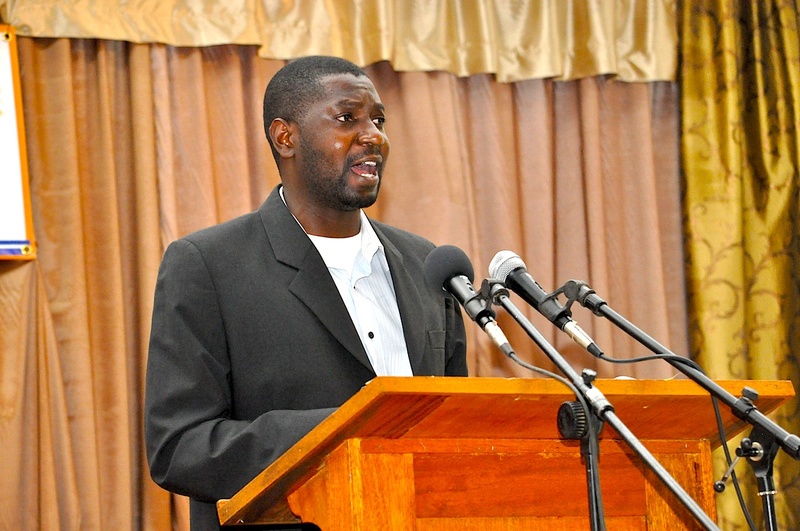 He stated that the Fund had almost doubled from US$45,000 to US$83,000. There were sixteen Reformed Baptist churches that were subscribing regularly and he urged more churches to participate in this. He also urged those churches that had received loans to be faithful in repaying them so that others would profit from this facility. 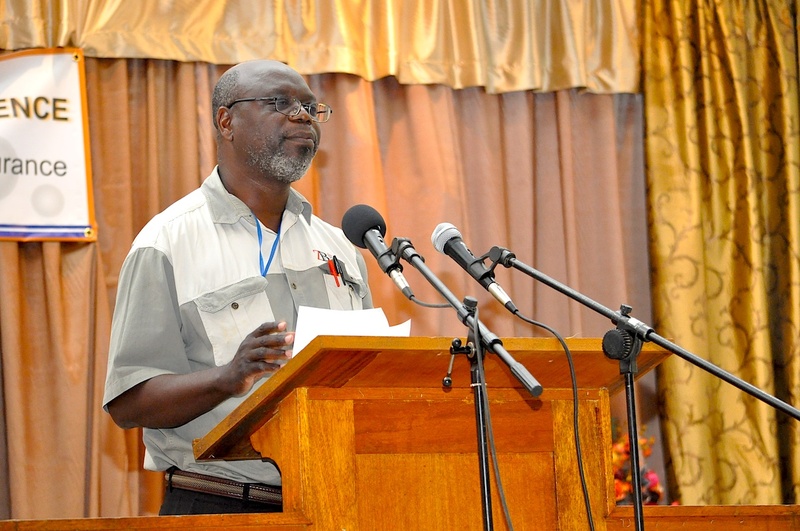 Peter Mukalula shared about the Zambian Baptist Historical Society, which was established a few years ago to preserve the history of Baptists in Zambia. 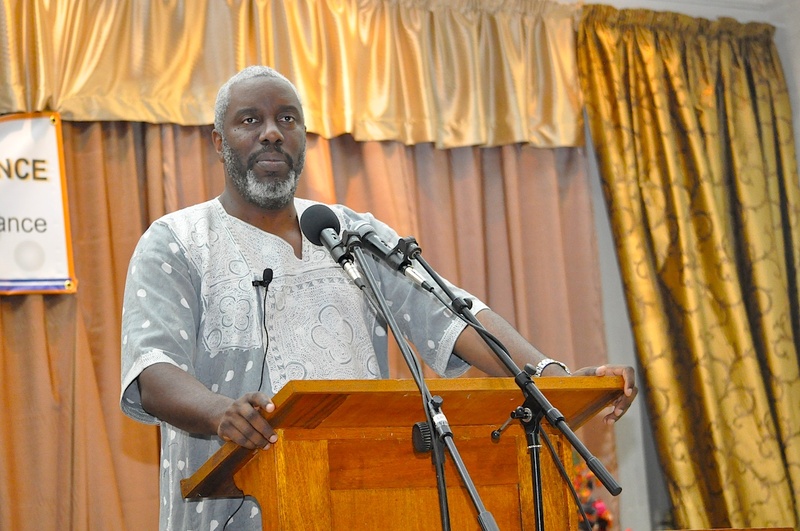 He talked about the society’s project to raise K150,000 (about US$30,000) in order to restore the first Baptist church building, which was opened in 1916, and to put a new gravestone on the grave of the first indigenous Baptist leader, Paul Kasonga, who died in 1954. He urged those in attendance to consider joining the society so that they can actively participate in these and other ventures. After these two presentations, Thabiti Anyabwile gave his third message on “Finding Assurance”. He began by quoting the “beliefs” of a bishop in a church in the USA who denied all the major tenets of the Christian Faith. He then went on to state that what we think about God determines how we live before God. 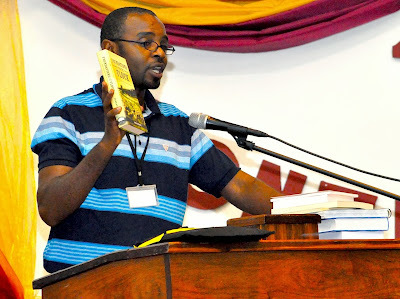 Thabiti then took us through a three point exposition of 1 John 1:5-2:2. 1. Assurance comes when we accept the true nature of God, that God is light (1 John 1:5-2:2). The source of this message is Jesus, the Son of God. This is why Christianity is distinct from all other religions on the planet. The channel of the message is that of hearing and speaking. The content of this message is that God is light and in him there is no darkness at all. It is not primarily a message about man but a message about God. By light John means that God is absolutely holy, pure, etc. This is both bad and good news. It is bad news for those who die in their sins because it means he must punish them forever. It is good news for those who believe in him because it means he is absolutely trustworthy. 2 Cor. 4:6 and 2 Peter 1:19 speak about how the light from God becomes light in our hearts. It is as the Holy Spirit miraculously makes the things of Jesus very real to us. This is done as we meditate on the gospel of Christ until the message out there becomes a message in our hearts. 2. Assurance comes when we avoid three fatal deceptions. The first deception to avoid is that of making a false profession (1 John 1:6). It is those who lie and do not live by the truth. The second deception to avoid is that of self-deception (1 John 1:8). This especially happens when a person denies his own sin and sinfulness. The third deception to avoid is that of self-righteousness (1 John 1:10). Such people call God a liar to justify themselves. 3. Assurance comes when we attend to three promises of assurance. The first is that the blood of Christ cleanses us from all sin (1 John 1:7). “Oh the bliss of this glorious thought!” The second promise is that God is faithful and just to forgive us our sins and to cleanse us from all unrighteousness (1 John 1:9). Grace has come to us when in our sins we flee to Christ. The third promise is that Jesus will speak for us when we sin (1 John 1:1-2). We have a lawyer, an advocate, and a counsel in Jesus Christ. He is the righteous one. God is satisfied in Jesus because of his righteousness. He is the elder brother who stands in the way of God’s wrath and turns it away from us. I end this report by saying that assurance of salvation is an important part of our peace of mind and our effectiveness as Christians in this life. Being falsely assured also has very serious eternal consequences. Hence, these messages by Thabiti are worth listening to again and again.